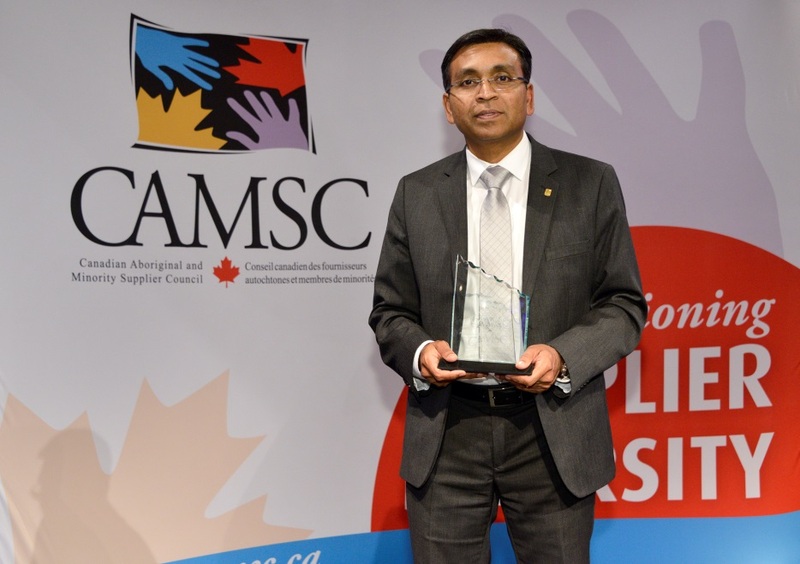 Kiruba Sankar Honoured with CAMSC’s 2017 Procurement Business Advocate of the Year Award for Achievements in Supplier Diversity! TORONTO - September 28, 2017 In recognition of the many achievements in driving and supporting supplier diversity, Kiruba Sankar has been honoured with the 2017 Procurement Business Advocate of the Year Award by the Canadian Aboriginal Minority Supplier Council (CAMSC). The award was presented to Kiruba Sankar, Director of RBC Global Procurement at the 13th Annual CAMSC Business Achievement Awards gala ceremony on September 28, 2017. The gala event was an opportunity to celebrate the innovative talents and accomplishments of successful Aboriginal and Minority owned businesses, as well as the corporations that are championing diversity in their supplier base. The Procurement Business Advocate of the Year Award recognizes Kiruba’s leadership in successfully launching the RBC Supplier Diversity (SD) program, and developing strong relationships with internal partners who assist in the implementation of SD programs across departments. He has taken RBC’s well-established SD programs to the next level, creating Responsible Procurement training and applying a new Inclusive Supplier policy to ensure diverse suppliers compete in the procurement sourcing process at RBC. A mentor for suppliers, Kiruba has led training on how to respond to RFPs and successfully engage with large corporations. Kiruba, with his reputation for success in SD, has become RBC’s spokesperson at CAMSC events, and, in turn, invites CAMSC to RBC-led SD initiatives. He is also a regular participant at events hosted by other Supplier Diversity councils. In 2016, Kiruba spoke to government representatives at Parliament Hill about RBC’s SD program and encouraged SD expansion in the government procurement process. Kiruba is a valuable brand ambassador for RBC and a true advocate of Supplier Diversity in Canada and abroad. This award is presented to an individual who acts as a catalyst and is devoted to the promotion of supplier diversity through outreach efforts/activities and is respected by their peers for advocating supplier diversity in Canada. More information about the award and CAMSC's work to advance economic opportunities for Aboriginal and Minority communities through business development is available at www.camsc.ca .